There is nothing more Christmassy than the sound of sleigh bells. Attach these gorgeous little bells to cards, gifts, tags and decorations to add dimension and sound. 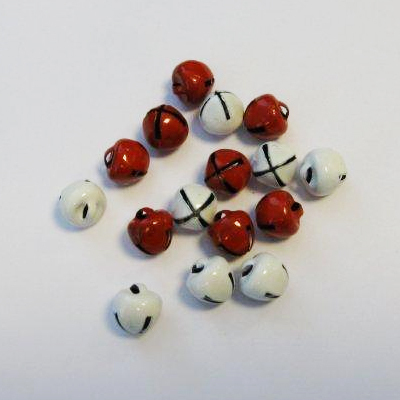 The pack contains 16, 8mm bells, 8 each of red and white. Use them to add some Christmas cheer! Also available in gold and silver.